Overuse problems or malalignment of the knee structures can lead to irritation, strain, and/or injury. These problems/injuries manifest with pain, weakness, and swelling of the knee joint. Patellar tendonitis (also known as jumper’s knee) is a common overuse condition associated with running, repeated jumping and landing, and kicking. 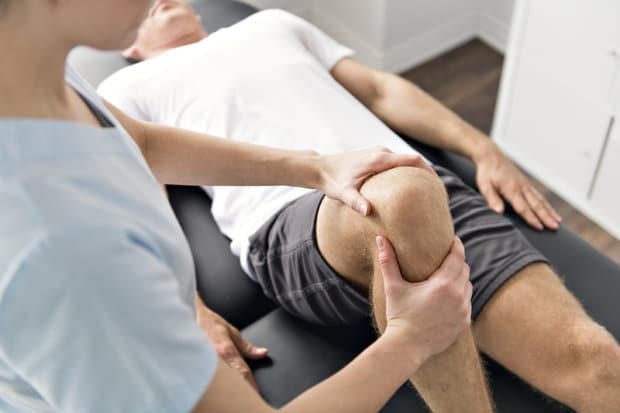 If you are currently suffering from knee pain and are suspicious that you may be suffering from patellar tendonitis, don’t delay getting a consultation from one of our Spine Correction Center Team members. If left untreated, your condition could worsen and require more extensive treatment. Our highly-skilled pain doctors are committed to helping you eliminate the knee pain you are experiencing and finding how to keep you pain free going forward. Tendons, are strong bands of connective tissue that attach your muscles to your bones. When a tendon is injured it is called a strain. Tendonitis occurs when a tendon is inflamed or when there are micro-tears in a tendon from repeated injury. The patellar tendon is a short and very wide tendon that runs from your patella (kneecap) to the top of your tibia. The patella gives your knee a larger mechanical advantage allowing your quadriceps to generate forces from the knee which are important in any sport with running or jumping elements. The most common cause for inflammation (or tendonitis) of the patellar tendon is overuse or repetitive injury. When your quadriceps are overused, the patellar tendon has to absorb more of the shock created by movement. If the quadriceps are inflexible, the patellar tendon has to withstand more friction during movement. Whether you are overusing the tendon or you are inflexible, the tendon may become irritated or damaged. This can result in pain during activity or at rest. Jumping activities place high strains on the tendon and, therefore, the injury is more common in basketball players, tennis players, volleyball players, track and field athletes, as well as soccer players. With repetitive jumping, small, often “microscopic” tearing and injury of the tendon can occur. The chronic injury and healing response results in inflammation and localized pain. Inflammation of the patellar tendon, just below the kneecap, weakens the tendon and can cause small tears. Pain, tenderness, swelling, warmth, or redness over the patellar tendon, just under the kneecap. Pain and occasional loss of strength when aggressively straightening the knee (like when jumping or rising from a seated or squatting position). Pain and occasional loss of strength when bending the knee completely, squatting or kneeling. Crackling sound when the tendon is moved or touched. If you have chronic knee pain, or any of the symptoms above you should contact a member of your Spine Correction Center team for a consultation. Putting off your injury or your pain can lead to more serious problems. What might have started as an inflamed tendon could result in a torn tendon if your injury is not treated seriously. Torn patellar tendons require more healing time and often more invasive treatment methods to repair. If your patellar tendon is ruptured, usually you will have sudden severe pain and you will not be able to straighten your leg or walk. There are numerous risk factors that have been linked to patellar tendon issues. While some simply can’t be changed, others are lifestyle choices. Physical activity changes. If you increase the intensity or frequency of your physical activities, you can put excessive strain on your tendon. Repeated jumping is most commonly associated with patellar tendonitis. Reduced flexibility. Inflexible thigh muscles (quadriceps) and/or hamstrings, which run up the back of your thighs, increase the strain on your patellar tendon. Imbalance of the muscles. Tendonitis can be caused by the unequal pull of muscles on your patellar tendon. At Spine Correction Center, we like to exhaust every natural, non-invasive, non-surgical, non-pharmaceutical option for your treatment before we resort to other options. Stem Cell Therapy offers another treatment option that can keep you out of surgery and reduce your pain. 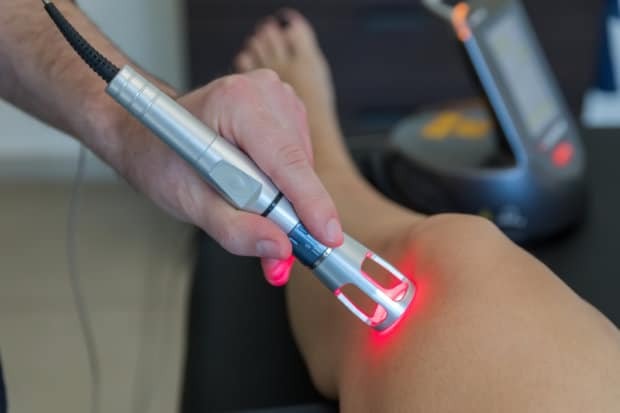 With the strides we have made in healthcare and science, alternative patellar tendonitis treatments are now available that can eliminate your knee pain with an in-office injection procedure. The Spine Correction Center is one of the few clinics in the country to offer Amniotic Stem Cells for stem cell therapy. We couple the treatment with rehabilitation (if needed) provided by our integrated team, to correct the reason your injury may have been caused in the first place. Spine Correction Center is integrated with Medical Physicians, Nurse Practitioners, and Chiropractic Physicians and dealing with chronic pain and joint injuries is what we do. If chronic knee pain is limiting your daily routine or preventing you from activities you enjoy, stem cell therapy may be the answer you’ve been looking for! Hot and Cold Therapy. Used to help reduce pain and inflammation. Physical Therapy. Strengthening and stretching exercises may help reduce pain with activity. Some exercises can be given you to do at home and some you would do in our office with our trained therapist. Restraining the Knee. Serious cases of tendonitis may require restraining the knee for 10 to 14 days, to prevent stress on the tendon and to promote healing. Crutches may be used (uncommon) until you can walk without a limp. Surgery. For cases in which non-surgical treatment is unsuccessful, surgery may be advised, to remove the inflamed tendon lining (sheath). Surgery is rare, and is only advised after at least 6 months of non-surgical treatment. Prevention. One of the best ways to treat patellar tendonitis is to prevent it from happening. Make sure you are warming up and stretching before activities and allowing yourself to properly recover between workouts. Maintain a consistent level of physical fitness while working to improve your strength, flexibility and endurance at proper intervals. If advised by one of our Spine Correction Center team members, protect your knee joint with taping, bracing, or a compression bandage during activity. When you arrive for your first visit, a member of Spine Correction Center team will spend time with you collecting your patient history. This information will help your Spine Correction Center Team know how significant your patellar tendonitis is and how best to help you. 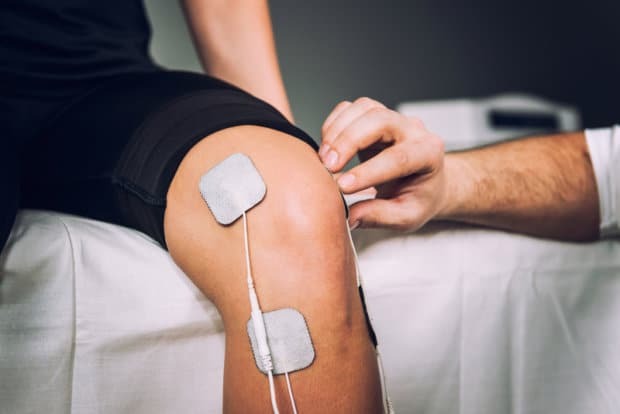 As you get started with a treatment plan for your knee pain, we will most likely give you some at home tips to be aware of. 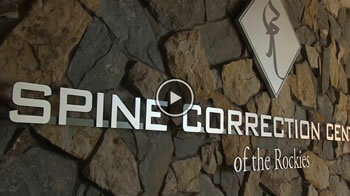 Feel free to look at our testimonials page to see what others have said about Spine Correction Center. We’re proud to be part of their health care team. We want to thank you for considering us to help with your patellar tendonitis. Together, we can get you back to your normal activities pain free! If you are suffering from patellar tendonitis, the team at Spine Correction Center is ready to help. Spine Correction Center provides specialized treatment plans for patellar tendonitis in Northern Colorado and can help you understand where your symptoms are coming from and what it will take to improve.